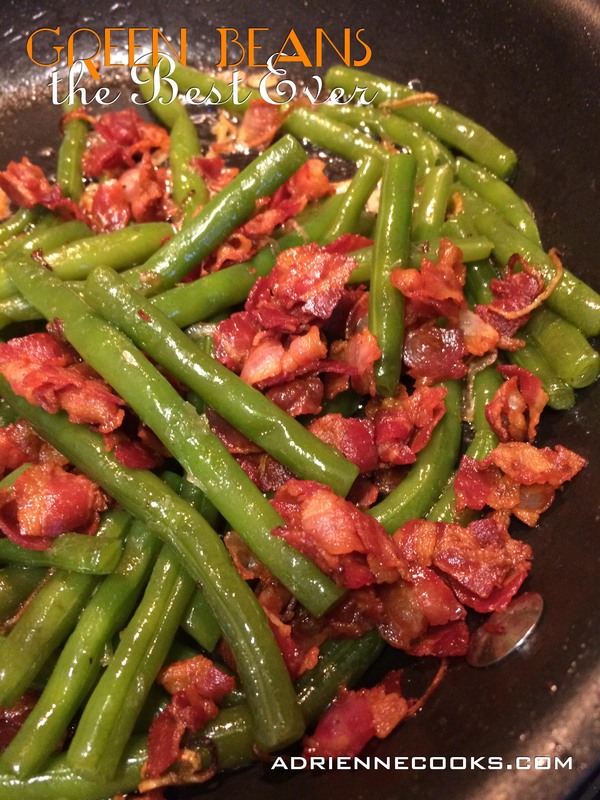 I love green beans. It’s a shame I mostly eat them out of a can. This recipe changes all that. 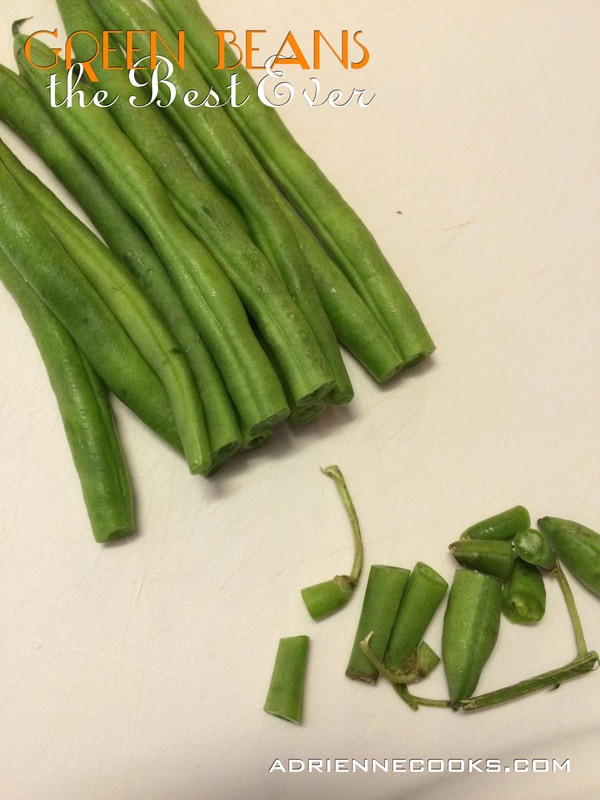 While these little beauties are in season I pledge to only eat fresh green beans. 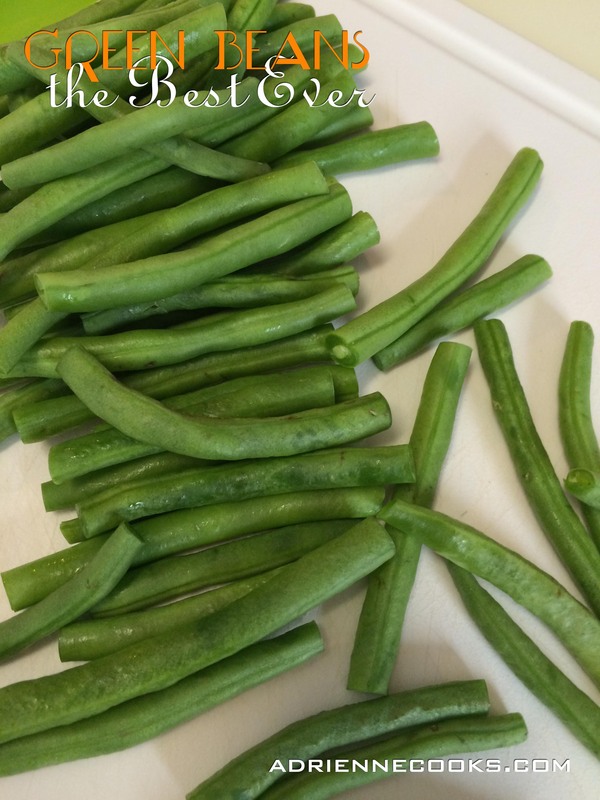 Think you don’t like green beans? Is it a texture thing? Guess what – these actually resemble vegetables! There is no mush. They are nice and crisp while still being cooked through. It’s a miracle. 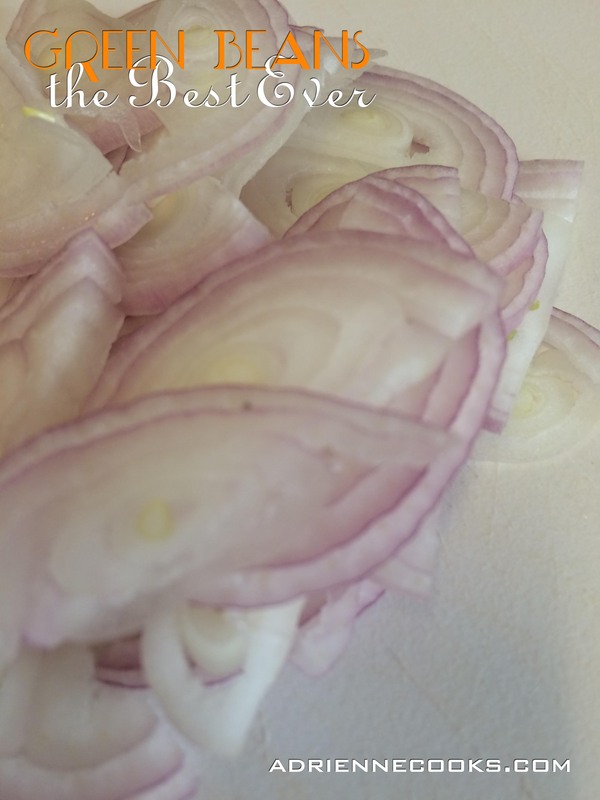 Plus the shallot makes them a little sweet and the pancetta or bacon makes them crispy and salty. Perfection. AND it’s easy! What is it adults are supposed to get? Eleventy billion servings a day of vegetables? I know I fail all the time… these make it a little easier. 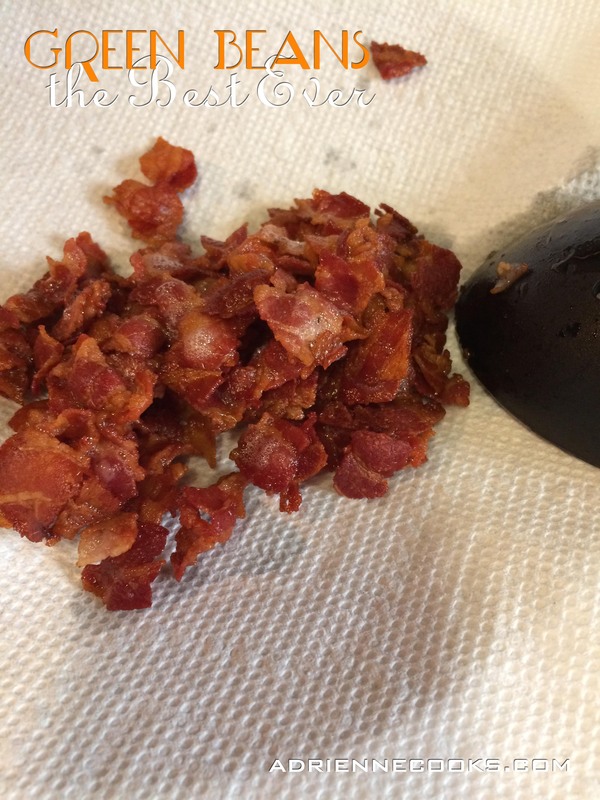 This recipe serves four, so each of you is only getting 3/4 of a piece of bacon on average. 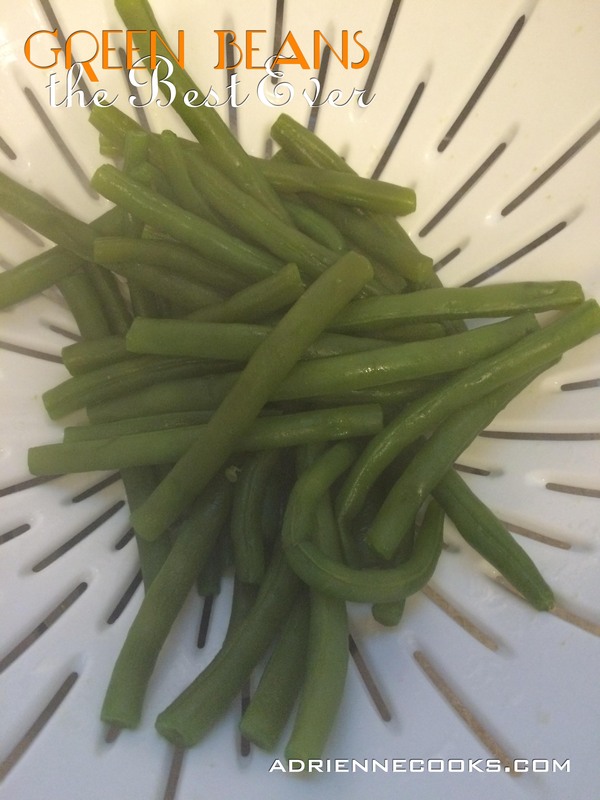 Green beans, get the freshest you can. If you can bend the bean into a frowny face without it snapping they are not what you want. You want nice crisp beans free of slime, mold, blemishes and that are all roughly the same size. 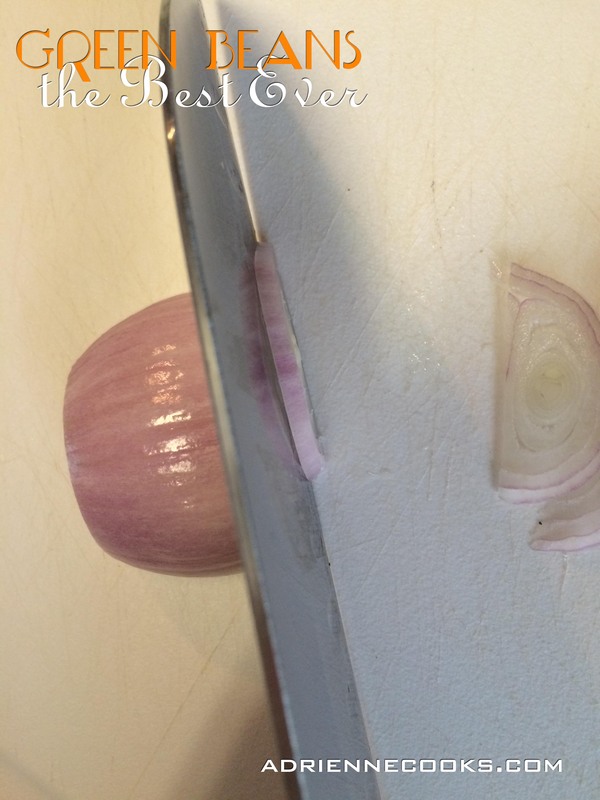 Trim the ends off the beans. Wash them in a colander to remove any remaining field dust. 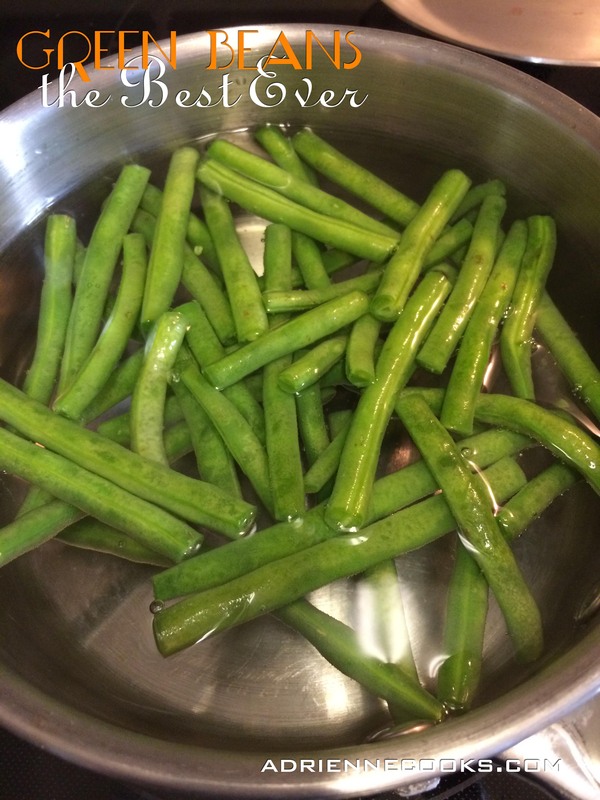 I wash them after I trim them because the pointy ends or included stems will get caught up in the colander and make the whole process harder than it needs to be. Add salt to 4 cups of water in a large pot. Bring water to a boil. Blanch (quickly par-boil) the beans for 5-7 minutes. They will deepen in color becoming a brilliant green and be crisp tender. Drain beans. 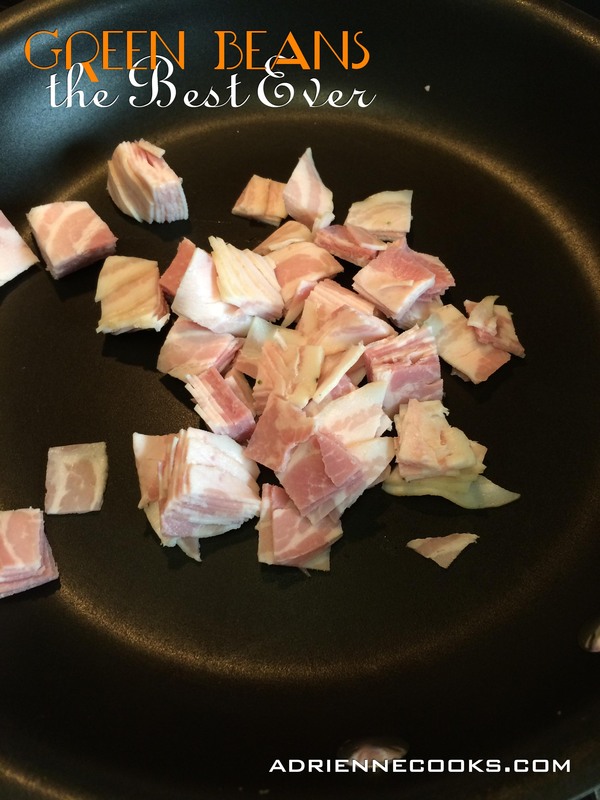 Chop pancetta or bacon into small pieces about half an inch square. 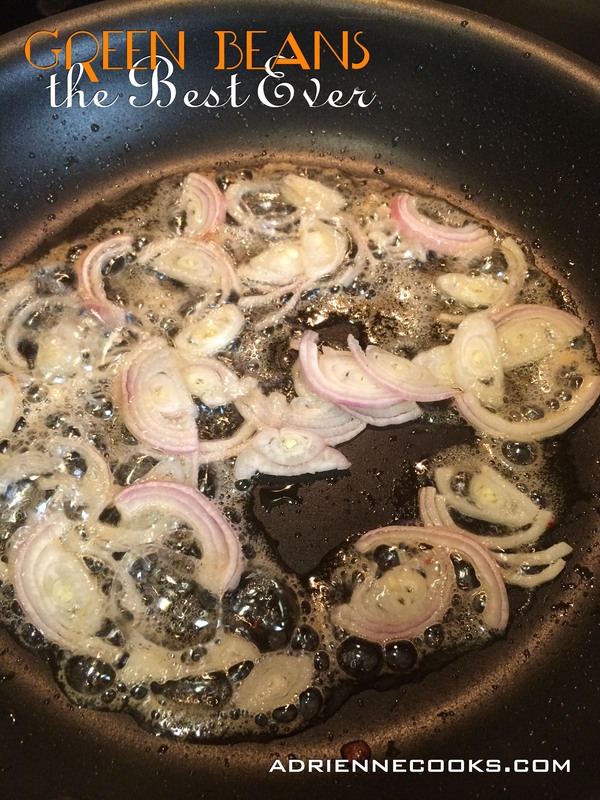 Sauté on medium in a large skillet. 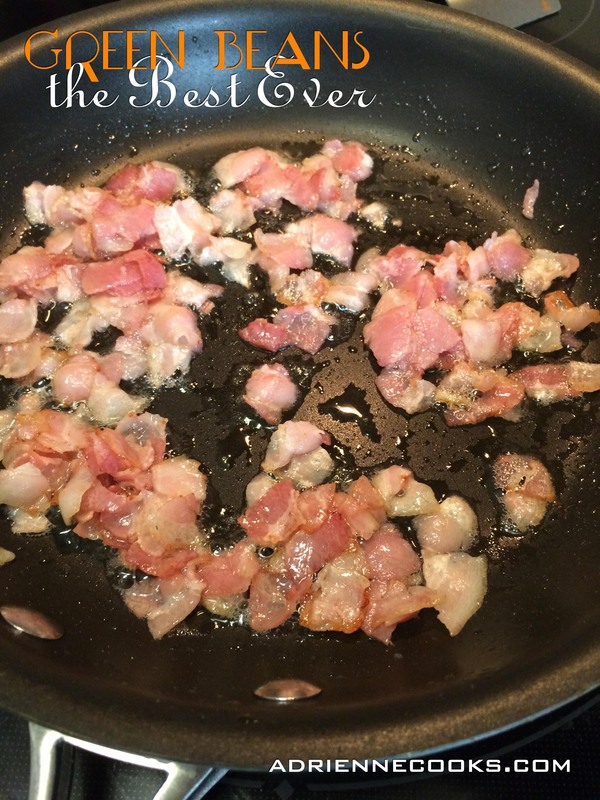 When the fat has rendered out and the bacon is crisp, remove from the pan to drain on a paper towel. 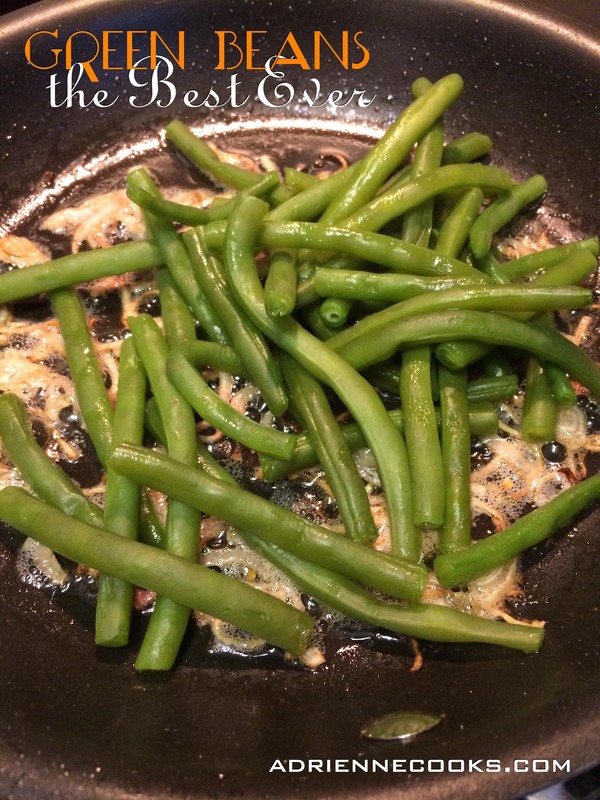 Add the drained green beans back to the pan and toss to coat with the rendered fat and combine with the shallots. 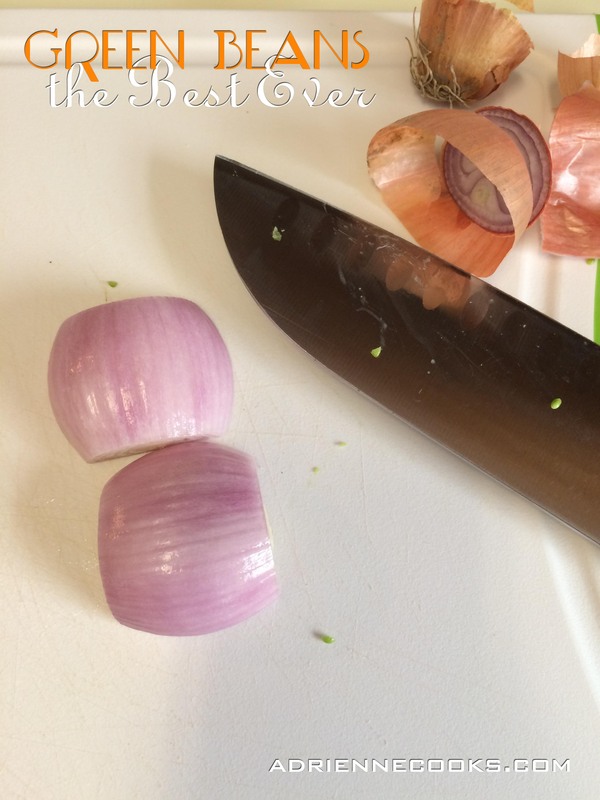 Sauté for 2-3 minutes and remove from heat. Top with the crispy bacon pieces and serve. These are SO GOOD. I made enough for 4 servings and ate three of them in one sitting. Nom nom nom! Perfect timing…I am going to make this today.